Actress and Enough Project celebrity upstander Melissa Fitzgerald recently appeared on the Thom Hartman show to promote her new documentary, After Kony: Staging Hope, directed by Bil Yoelin. The film highlights the collaboration between a group of American artists and 14 Ugandan teenagers who were abducted by the Lord’s Resistance Army for use as child soldiers. 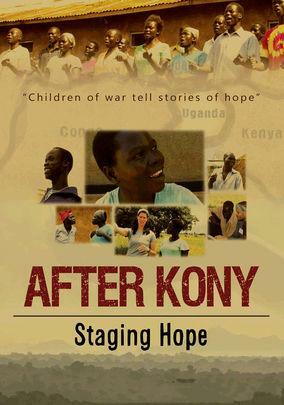 Working together, the actors and youth conducted a theatre program to explore the traumatic experiences of those affected by the atrocities committed by Joseph Kony’s rebel group through performance. In what Hartman called “powerful stuff,” the teenagers were empowered not only to come to terms with what happened to them, but also to educate their communities on the issues surrounding the reconciliation process that follows traumatic civil conflict. Over a thousand people in the Northern Uganda community came to watch the performance and grow from the experience. Though the LRA is now mostly active in the Democratic Republic of Congo and South Sudan, the scars of war left in Northern Uganda are still too real. Voices of Uganda, the organization promoting the video, has teams in the country and the United States and works to raise awareness of the aftereffects of the conflict in Northern Uganda. To learn more about what you can do to help in the fight against Kony’s LRA, visit our Take Action page.